We all faced moments when our smart phone's battery drained out like water from a leaking vessel leaving us without any option of entertainment while in a boring party or during a journey. The problem becomes dangerous when we were alone in a desolate place, with a dead phone we couldn't inform our well being to our family and friends which keep them in state of worry unless we returned. In case of girls condition is more critical looking at increase in rate of crimes. In such situations we pray to have a superpower in our phone which give us companion as well as protection in complicated situations. How interesting it would be if phone started acting as a medium to the world of dead people when its battery was dead. You could call them to help you in adverse conditions or converse with them when you were lonely. Since they were omnipresent you would definite to find one if called. It would double the joy if we could see them around us through phone's camera.This power let me see what other's can't and let me do things what others don't like connecting me to someone funny like Charlie Chaplin when I was feeling low, bringing Michael Jackson when in a mood to party alone, having spiritual solace with likes of Sai Baba, saying my heart out to a close dead relative of mine,etc. The superpower with which dead is alive would provide a partner while travelling alone,would console and give strength when in a deserted place. The today's human is so dangerous and opportunistic that you wouldn't get afraid of someone who don't want anything from life being dead and would stood better with you and for you in time of need. Perhaps I would help some spirit in his/her unfulfilled task (remember Boothnath ad The Sixth Sense). The world of dead people always fascinates me owing to the mystery of unknown attached to it. What happened when we were dead? Do someone really come on Buffalo ? How is heaven and hell? Who judge our sins.? That incredible superpower would open the doors of that unknown world to me and would give answer to all theses questions. Think If beautifully crafted Asus Zenphone 5 with Intel processor for handling multiple tasks, incredible touch quality,excellent 8MP camera with Pixel Master and whole lots of other incredible feature would have used this feature secretly in it,you couldn't imagine how would you react to it. If this power is not in it then I would love to have it in it. 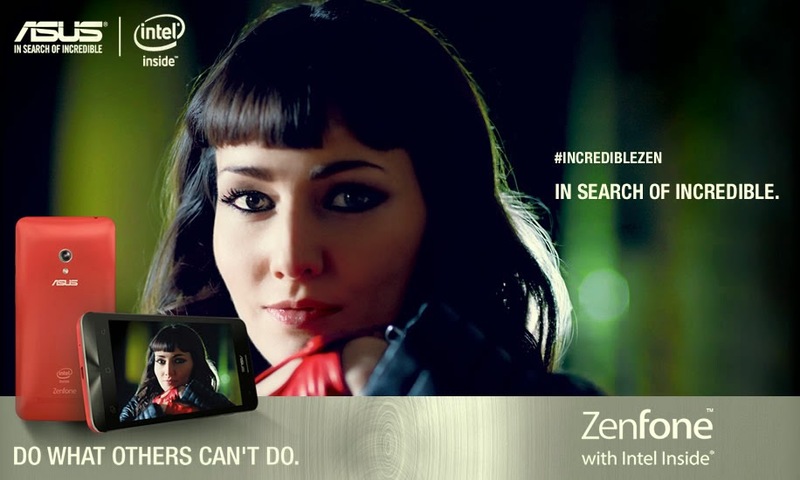 This post is written for 'In Search Of Incredible' by Asus Zenphone in assosiation with Indiblogger. Wow calling dead people when your mobile's battery is dead..well mine go dead every now and then..I wish I could call some celebrities in..lol..